We translate the retailer’s vision and concept into a unique shopping experience that starts with an effective and personalised design or powerful formula. Our designs bring everything together. Creative and innovative ability for setting the right atmosphere. Retail expertise and knowledge of consumer trends for making stores future-proof. Understanding of materials, building techniques, management, and legislation and regulations during project realisation on a national and international level. We deliver a total package. From design to construction and from construction to realisation. Keeping hold of the reins and retaining control over the entire process enables us to produce the most complex retail concepts on schedule and within budget. And we do everything with one goal in mind… to create a unique shopping experience that makes the retailer stand out to consumers. We complete the circle. A successful store cannot operate without a good concept. A concept has to be supported by a good design. A good design only works if it is properly implemented and helps generate the ultimate brand experience to make a store successful. Store3D has all the disciplines in house needed to keep the cycle going. And if a client has already put the gears in motion by coming up with a fantastic and well-thought-out concept or design, we start the process at this point and take care of the further rollout! At Store3D, we work on one-off projects (retailers with a location concept) and formula projects (retailers with a formula concept). In every case, we work through (each part of) the process as shown above. Retailers with a location concept almost always go through the entire process. With formula concept clients, we usually go through (the same) part of the process more than once, each time making improvements to details. Exchanging the experiences we gain from both types of project enables us to deliver the desired shopping experience on schedule and within the given budget. We do this on a national and international level. At Store3D, we create stores following the construction team method. 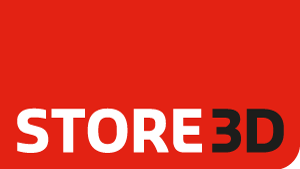 In this respect, a construction team is a project-based collaboration between Store3D (in a coordinating role) and one or more professional and equal partners, each contributing and assuming responsibility for their own specialisation. In this way, projects are continuously – and frequently before work actually starts – viewed from the perspectives of different disciplines. The composition of project teams constantly changes. We reform project teams during the entire process so that we can optimally meet the requirements at any given moment. We as Store3D and the specific client are the only two permanent members of a project team. Our clients are always represented in project teams. In this way, we never lose sight of their interests!